Brush the potatoes clean and don't peel them. The skin will give a nice taste and texture to the salad. Boil them till they are 'al dente' and set aside while you prepare the dressing. Mix the olive oil with the red wine vinegar and mustard till it becomes creamy. Add some salt and pepper. 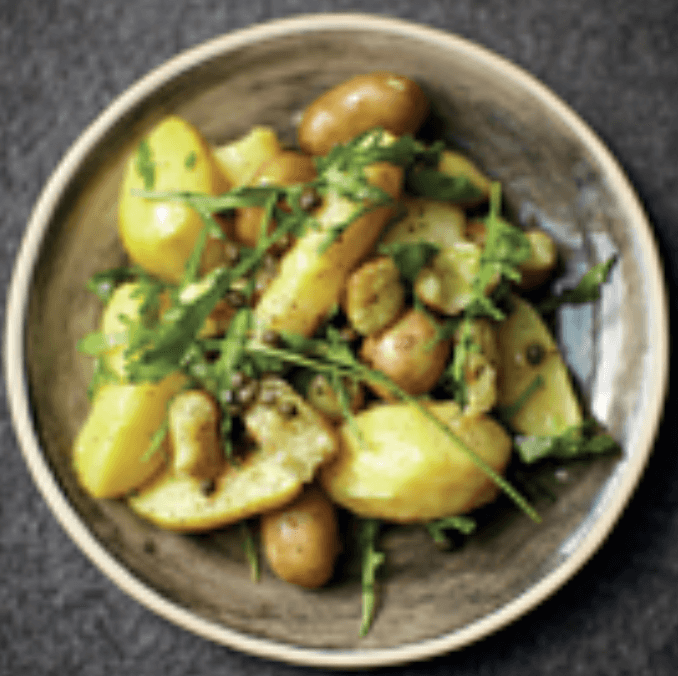 Grab a bowl and put in the potatoes, poor over the dressing and lastly the chopped up capers and the arugula. That's it!